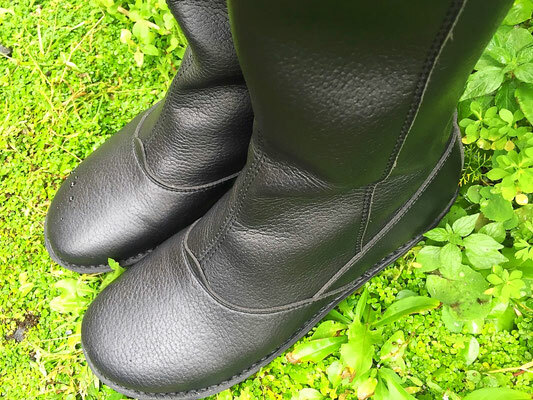 As a longtime vegan, I often get asked how I avoid leather and where I get shoes. Honestly I never have a problem finding vegan shoes at any shops or shoe stores. There seem to always be either canvas, synthetic or faux leather options. They're also usually a lot cheaper than the leather ones. And way less dead! On one of my recent trips to my beloved Brighton, I was so happy to find Vegetarian Shoes, an adorable cruelty-free shoe shop right in Brighton's super fun North Laines. Finding a strictly vegetarian shoe store is a vegan goldmine. No fiddling around reading labels. All man-made material here. And nobody had to die. They have such a great and unique selection of everything from casual shoes to boots to sandals to belts and bags. Literally something for everyone. Admittedly, I'm not one for fashion. But I am a full-time traveler and every now and then I have to supplement my tiny wardrobe to adjust for all the changing seasons or countries or landscapes that I find myself in. Lately, I have been on the hunt for boots. My criteria in shoes is usually comfort, value, style - in that order. 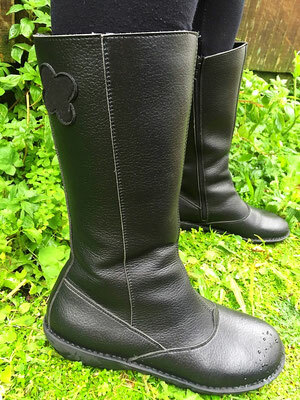 Hello, Fleur boots! Super comfortable and easy to put on and wear. They just zip right up. Sold. Got them in black, of course, because apparently I have the wardrobe palette of Johnny Cash. I just wore these boots out on a hike in Cornwall in the rain and wow, I love them. They're lined with a woven microfibre so they keep your legs and toesies warm. They have sturdy rubber soles so you can literally climb up rocks. The material that they're made out of is called Vegetan Bucky. What's that? It's a faux leather microfibre material that's both breathable and surprisingly supple. It even looks like leather. But it's not. So you don't have that creepy Hannibal Lector "it puts the lotions on it's skins" vibe going on. 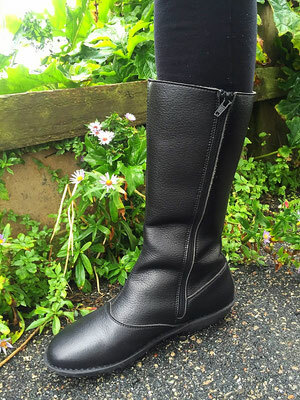 I'm super impressed by the quality of theses shoes and the compliments that I've gotten from bonafide wellie-wearing Cornish people have been stellar. 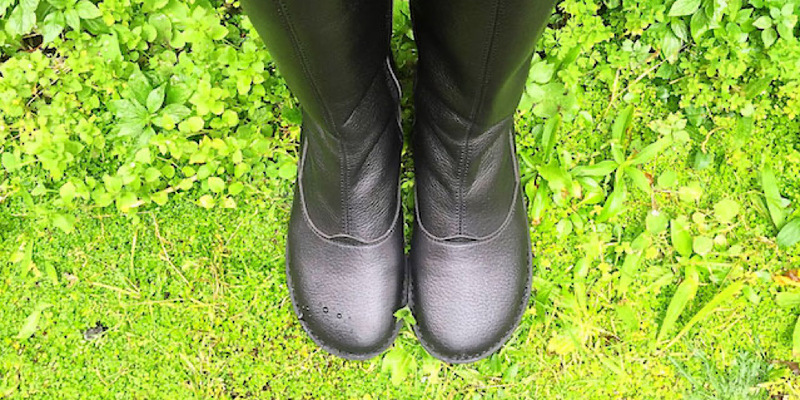 Vegetarian Shoes has making animal and environmentally friendly shoes since 1990 and have earned many very well-deserved awards over the years! Check out their huge inventory at Vegetarian Shoes or go visit the shop at 12 Gardner Street in Brighton.